Doing the classic pre-World Cup thing of choosing a friendly opponent who is geographically kind-of near to a future tournament opponent, you’ve got to feel that Portugal were the main instigators when setting up this match. As Paulo Bento and the Portuguese FA got together the day after the World Cup draw, they dusted off the globe from four years ago and delved into the dark depths of West and Central Africa to see what sides they could play before going to Brazil this summer – presumably choosing Cameroon on the basis they’re kind of like Ghana. So, very pleased with themselves that they’ve managed to find a team who are basically the same as Ghana, Paulo Bento leaves the office and goes to watch some players for his squad. And watch some players he has. Springing a few surprises with the 23 men he selected, first choice goalkeeper Rui Patricio was left out of the squad, with Lyon’s Antonio Lopes getting a call-up, whilst also throwing some youth into the mix as well, picking Braga midfielder Rafa and Benfica forward Ivan Cavaleiro. Of course, the expected call-ups of Cristiano Ronaldo etc are all in the squad, but inclusions of some relative unknowns suggests Bento may be heading towards a more experimental side for the game in Leira. 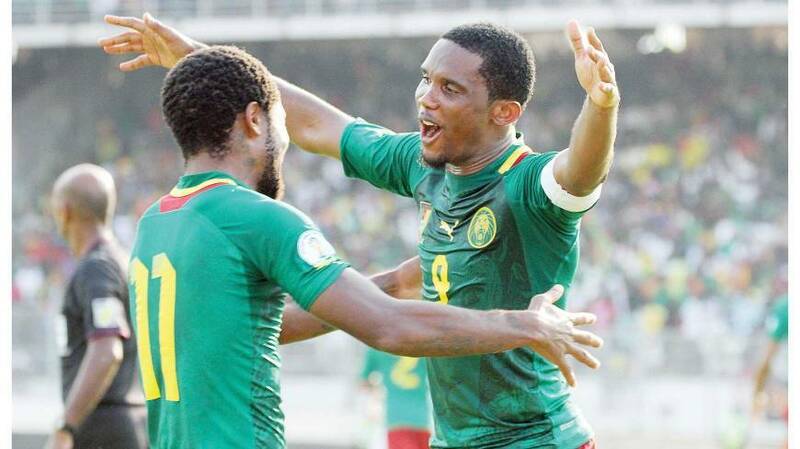 As for the Cameroon squad, there is not really a huge amount of eye-brow raising and confused looks from Indomitable Lions fans, as a couple of injuries the only real reason that some unexpected names have been included. Kaiserslautern veteran striker Mohammadou Idrissou is probably the headline maker if there was one, as the 33-year-old takes the place that presumably would have gone to Pierre Webo had he been fit, as he returns to the squad after missing out on the second leg of the playoff against Tunisia. Preferred to Fabrice Olinga as Webo’s replacement, who was included in the squad for the Tunisia games, means that he will get a chance to show Finke that he deserves one last shot as a World Cup before he retires. Other inclusions included the Barcelona B duo Franck Bagnack and Jean-Marie Dongou, suggesting that Finke intends to take these two to Brazil to get them some experience. Cited as future defender and striker, respectively, for the national team, this will be the first time they have represented their country if they play against the Portuguese. Both just 18 at this point, some tournament experience may prove invaluable to them even if they don’t play much in Brazil, and that may be the direction Finke is going judging by their inclusion in this squad. Stephane Mbia misses out through injury, meaning it is likely that Allan Nyom or perhaps Danny Nounkeu will deputise at right-back in his absence. Carlos Kameni’s lack of game time for Malaga have proven to have put off Finke once again in his squad selection, raising doubts over the 70-cap man’s possible inclusion in Brazil. The tactics that the manager employs against Portugal and in the other friendlies would appear to be important in dictating what he might choose to go with in Brazil. Reverting from a dull, creativity-sapping 4-4-2 formation used throughout the qualifiers and in the first game against Tunisia, to a more progressive 4-3-3 system which proved to be much more effective in the second-leg; how he reacts to playing teams of much higher quality may also be a pre-cursor to how he chooses to play it this summer. Perhaps tempting to avoid defeat and plug the centre of the pitch with defensive midfielders like he has done, Cameroon need to go with 4-3-3 if they want to give a decent account of themselves.